Recently in EatDrinkFilms, attorney Len Weiler reviewed Gett: The Trial of Viviane Amsalem, while couples therapist Winifred Reilly interviewed the film’s co-director Shlomi Elkabetz. This week Rabbi Yoni Regev adds another perspective on the acclaimed contemporary courtroom drama. Gett is playing in cinemas nationwide. 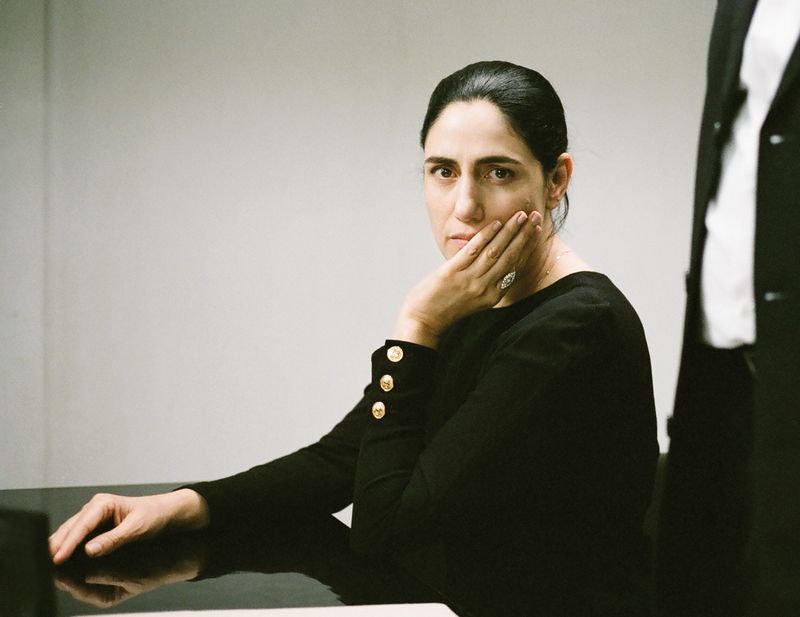 Gett: The Trial of Viviane Amsalem opens up a rare window into the world of women in Israel who are trapped by the intransigence of their husbands. The laws of personal status in Israel grant a complete monopoly in matters of marriage and divorce to the Rabbinic Courts, and their archaic values and deliberations. The option for civil marriage and divorce does not exist in Israel, and so a woman is considered Aguna , or “shackled,” to her husband until he consents to deliver the writ of divorce, the Gett , of his own free volition. The court may use different censures to pressure the husband, but ultimately cannot compel him, lest his consent to divorce be untruthful, and thus invalid. Viviane (Ronit Elkabetz), Carmel (Menashe Noy) and Shimon (Sassan Gabay) in Gett . Credit: Courtesy of Music Box Films. The title of the film aptly conveys the ambiguous nature of the proceeding under way—the legal matter is between two people, a husband and wife, but only one of them appears under trial. In seeking her freedom and dignity as a woman, Viviane is tried by a legal system that seems oblivious to her anguish, as she remains suspended in uncertainty. Her patience and willpower are tested time and again as she endures insults, insensitivity, and the crushing passage of time. The film vividly captures Viviane’s entrapment by her husband and the court, just like thousands of real women in similar plights in Israel today. The entire film is reminiscent of Samuel Beckett’s masterpiece, Waiting for Godot , where the cast of characters is trapped in repeating tableau that defies time and space. In Gett , we are treated to a rich cast of characters that far exceeds Beckett’s spare setting, but they similarly seem to lack agency and purpose; the witnesses seem unable to provide decisive testimony, the judges seem heartless and powerless to provide justice, and even in Viviane’s determination to divorce from her husband, there is tenderness and intimacy. Beckett was a pioneer in the Theater of the Absurd, whereas Gett treats us to the absurdity of real life. Viviane (Ronit Elkabetz) in Gett . Credit: Courtesy of Music Box Films. It is absurd that the miscarriage of justice masquerades as judicial due process. It is absurd that the lives of so many women in Israel are subject to the capricious whims of the very men they seek to divorce, and a court system that refuses to acknowledge their pain. It is absurd, and sad, and true, that a simple administrative process of divorce may languish in the Rabbinic Courts for years without resolution, and deny these anchored women the ability to freely continue their lives. So as their husbands refuse, these women cannot re-marry and cannot move on. Gett opens up a window, and we bear witness. 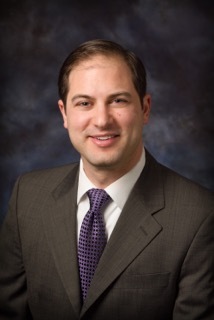 Rabbi Yoni Regev is the Assistant Rabbi at Temple Sinai in Oakland, California. He received his rabbinic ordination from the Hebrew Union College-Jewish Institute of Religion in Los Angeles, where he also received a certificate in Jewish Nonprofit Management. Before his rabbinical studies, Rabbi Regev studied at Case Western Reserve in Cleveland, where he majored in Vocal Music Performance. Born and raised in Israel, Rabbi Regev studied theater in Jerusalem before enlisting in the Israel Defense Forces (IDF). This entry was posted in Drink and tagged Films, Gett: The Trial of Viviane Amsalem, Rabbi Yoni Regev, Ronit Elkabetz. Bookmark the permalink.